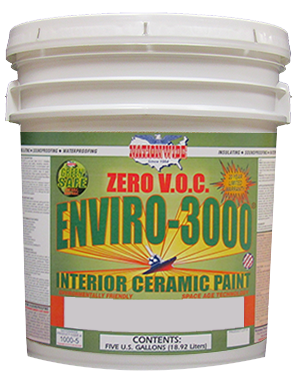 Superior quality, alkyd acrylic high solids white (tintable) pigmented interior and exterior primer, stain killer and wood sealer. A high solids content primer that comes standard in white, but can be tinted or matched to most pastel, white and tint base colors. 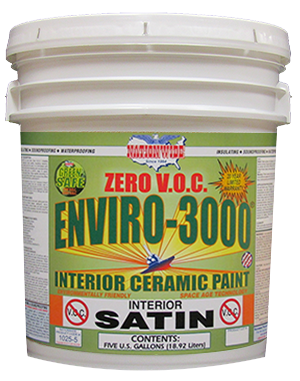 Effectively blocks and seals most stains and bleed through including: water, lipstick, tobacco, nicotine, inks, crayons, wood knots and sap streaks. 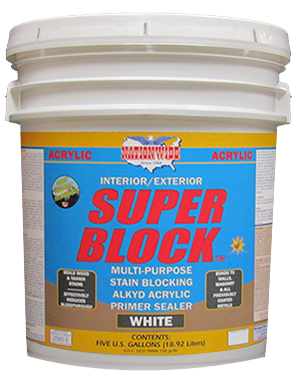 SUPER BLOCK™ has excellent resistance to and sealing of tannin stains. 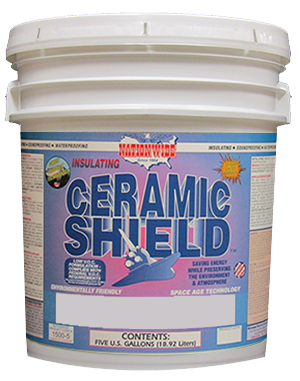 Provides a sealed surface for paints or coatings. Do not use on unprimed metal surfaces; See METAL-PRIME RED-OX™ Primer.